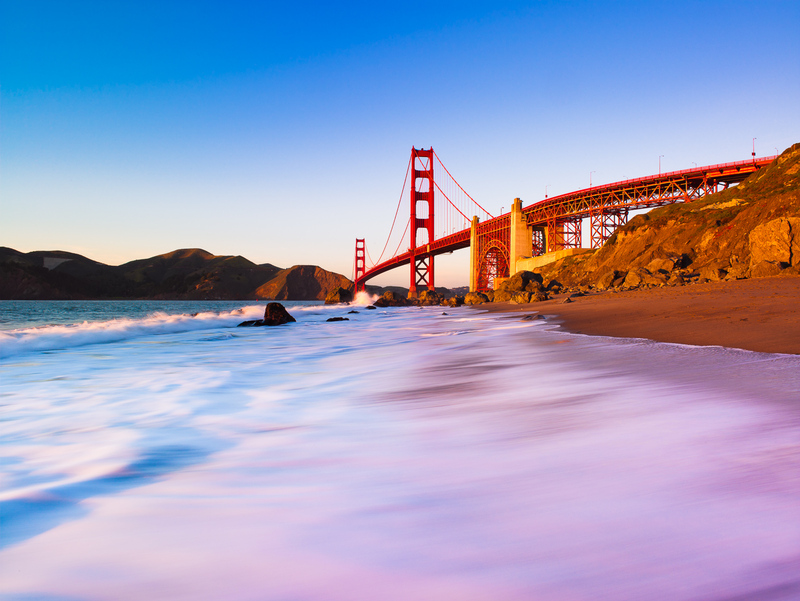 Do to the winter position of the sun if you time it correctly the Golden Gate bridge and shoreline light up with the red glow of the sun. A chilly but fun time to jump in! Photo © copyright by Lance B. Carter.